Lemongrass Huay Kwang is a boutique massage in Bangkok is located in middle of Ratchadapisek Road, a place that will make your time here full of relaxation and retreat. The branch is conveniently accessible by car on Ratchadapisek Rd, or by MRT Subway (2 minutes walk from Huay Kwang station Exit 3) with over 15 treatments room with single and double rooms covering 500 square meters. Designed in a modern contemporary Thai style , our home spa provide a perfect setting where you can enjoy the Premium Treatments with Traditional Thai Service and Hospitality. Among the range of spa experiences, we provide our signature treatments. Other treatments on offer include Thai Massage, Foot Massage, Aromatherapy massage, Body scrub, Facial treatment and more. Whether you wish to feel relaxed, rejuvenated, or energised, our signature treatments will restore a sense of harmony to your body, mind and soul. Try our special treatments designed for urbanstyle life. 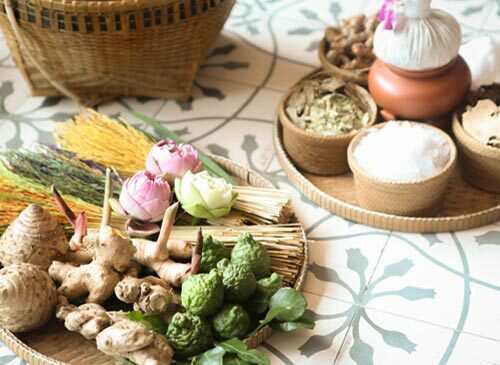 In Thailand, use of natural herbal remedies are ancient arts over centuries. The full magic of these age old therapies create a treat of all your senses. Create your own treatment combining a variety of thai massage, body scrub, and aromatherapy for an unforgettable moment. For those who don’t have much time, experience our special quick remedies.